Join us May 24 at 7pm GMT in-person or online to learn about using twitter for non-profits and social enterprises. I’ve been talking with several NetSquared Local organizers recently about the potential for streaming events in real-time to allow virtual participation around the world, and several groups have already been hosting mixed offline and online events for some time now. So, when I got an email from Steven Flower (@StevieFlow), our Manchester Net Tuesday organizer, asking if we could stream the Tuesday’s NetSquared Cambridge audio to the group up there, I knew we had to do it. The event we’ve been planning in Cambridge is centered around introducing Twitter to non profits and social enterprises. Ellie Stoneley (@e11ie5) will be take the lead and share some of the twitter experiences she has had in numerous non profits from the UK to LA and to Madagascar and India. Learn more about the topic. The Manchester Net Tuesday group: The group up north will meet as in person, but instead of having a speaker in Manchester, they’ll hook up the audio feed and slides and share the presentation in-real time. They’ll also have their own networking time before and after Ellie’s presentation. Here are the details for attending in person. Anyone in the world: Anyone around the world can connect from the comforts of their own homes. The event will be streaming live, and should also be available after the event is over. When: Tuesday, May 24, 2011. Networking begins at 7pm; Presentation begins at 7:30pm (GMT). 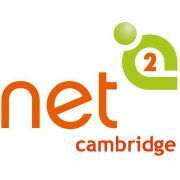 Whether you are participating in Cambridge, Manchester, or anywhere else in the world, we hope you’ll join the conversation online using the #virtualNet2 hashtag on Twitter. The Cambridge event is fully booked for in-person attendance, but there are still some spots left in Manchester. Here are the location and RSVP details. Online and in-person networking will begin at 7pm. Ellie's presentation will start at 7:30 pm. DJ > VJ > Story-J! We plan to use Storify during and after the event to mix together the content together created around the discussions across social media to leave a record and narrative. If you haven’t started to use Storify yet, then do! If you have, then tell us how you have! This event is a small experiment for us in terms of building the NetSquared Local community. With like-minded folk getting together in cities and towns across the world, how can we utilize social media to share and exchange our stories, skills and experiences? Answers and questions at #virtualNet2 tweetcard please! Here at NetSquared Cambridge, we’ve never done a livestream before. We’re pretty good with this technology malarky, but please bear with us if we have some technical difficulties! A special thanks goes out to Ellie Stoneley for her enthusiasm to broadcast her presentation and to Steven Flower for making the virtual aspect of this event a reality.